Pierate - Pie Reviews: Com-pie-tition: YOU could judge at the British Pie Awards! 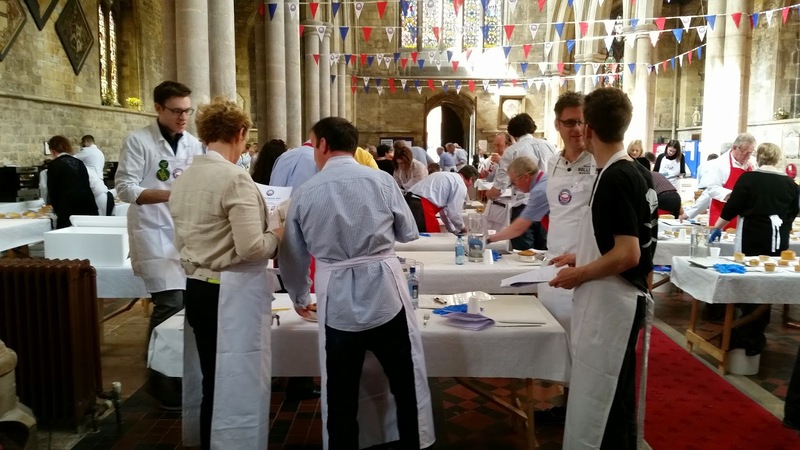 Com-pie-tition: YOU could judge at the British Pie Awards! One of the highlights of British Pie Week 2017 will be the return of the British Pie Awards and we'll again be there on Wednesday 8th March 2017 to provide a live feed of the awards. However this is the first year since 2013 where we won't have a Pierateer judging, which has left a vacant spot to judge that could be filled... by YOU!!! That's right! You could be joining a host of pie raters, food journalists and more to help judge hundreds of pies and determine who is considered to be the Supreme Champion of them all! Held in the heart of Pork Pie country, pie makers, pie enthusiasts and - most importantly - the pies themselves head to Melton Mowbray on 8th March and - if you win the com-pie-tition - you will be there joining the predicted 800 pies and around 100 judges to help rate all the pies! You'll help judge around 15-20 pies, eating samples of them and providing a score and feedback for each one, alongside a fellow judge, as all pies are judged by two people. Following the pie judging itself, we'd love to do a short interview with you about how you found it and feature that in our British Pie Awards 2017 article, if you wish to contribute. And we'll happily buy you a pint in one of the local pubs while we do so as a thank you for getting involved! So if you are able to travel to Melton Mowbray on Wednesday 8th March and want to judge, to enter the competition just email us on pierateship@yahoo.co.uk with your name and an (up to) 50 word reply to the question "Why would you like to judge at the British Pie Awards 2017?" The deadline to enter is 12 noon on Sunday 26th February, at which point we'll pick our winner from a hat from all the entries! Don't forget that - whether you win the com-pie-tition or not (and following on from our "British Pie Awards 2016 - Live!" 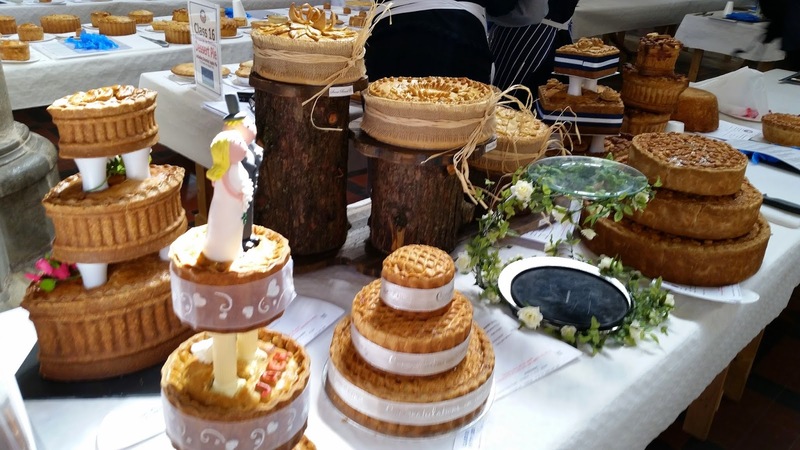 article last year and "British Pie Awards 2015 - Live!" the year before) - on Wednesday 8th March we'll be there for a pie-filled day of photos, interviews and behind the scenes info! Do check back then!!! 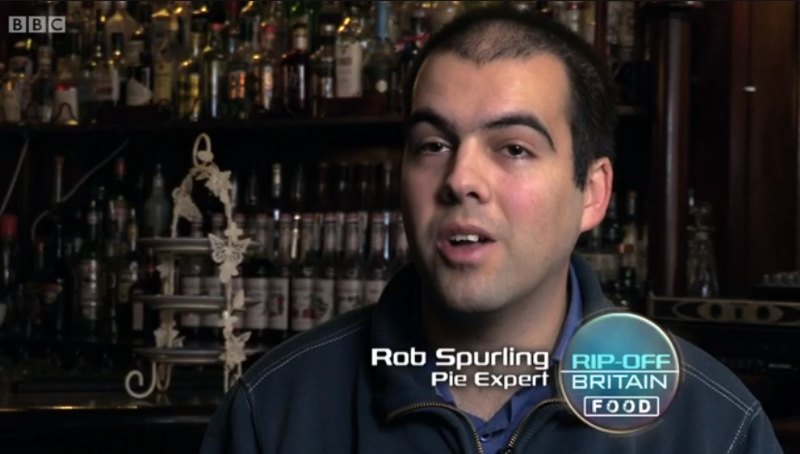 This year it will just be Pierateer Rob in attendance, who you may recognise from TV shows "The Great British Bake Off: An Extra Slice" and "Rip Off Britain: Food" but we look forward to seeing who joins us at the Awards as the pie competition winner!